Five-to nine-Inches of snowfall in the past 24 hours. 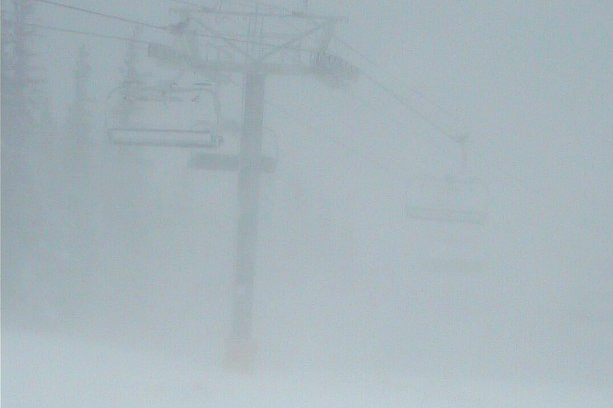 Dew Tour Breckenridge is just 10 days away, we're excited to be tracking winter storm Blanche. 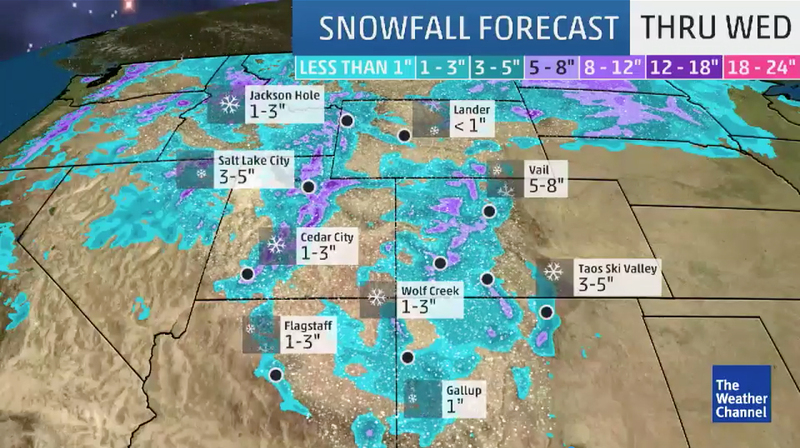 Coming from the west and into the east, the storm blanketed the resort with nine inches of snow in the past 24 hours and is expected to drop five-to-eight-inches of more snow, according to The Weather Channel. Snow guns are blazing at Breckenridge making most of what they can out of the cold temperatures. Current lifts that are open are five, Colorado Superchair, Gondola, Peak 8 SuperConnect, Quicksilver Super6, Rip's Ride, and Snowflake. 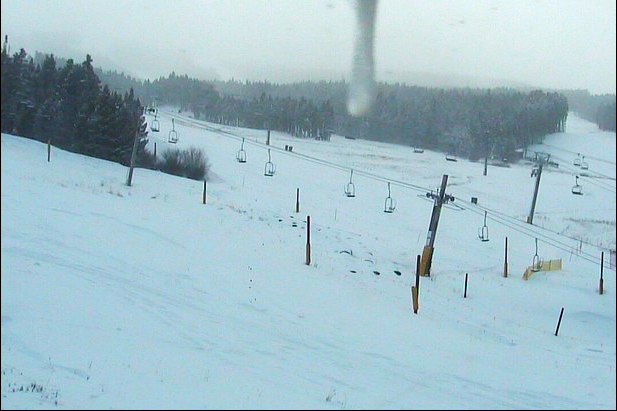 Breckenridge’s base of Peak 8 cam today. Silhouette of the lifts at the top of Springmeier. Winter storm Blanche is forecasted to bring in snow to the slow start of season at Breckenridge, from over the past weekend and early into the week. 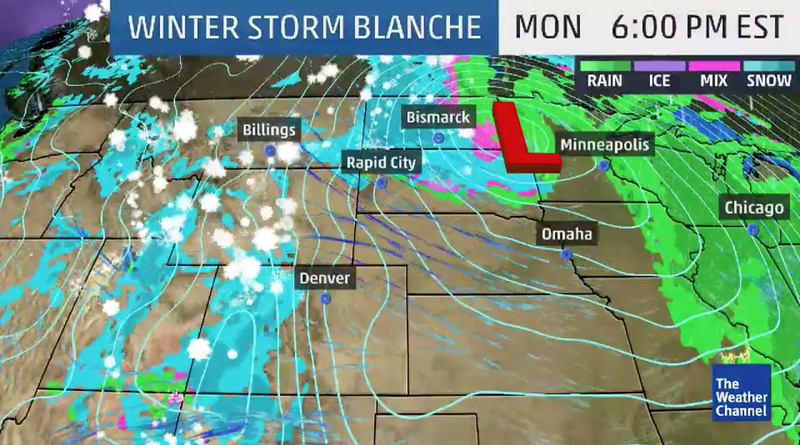 Tracking winter storm Blanche heading East. Snowfall conditions looking good through out the week.